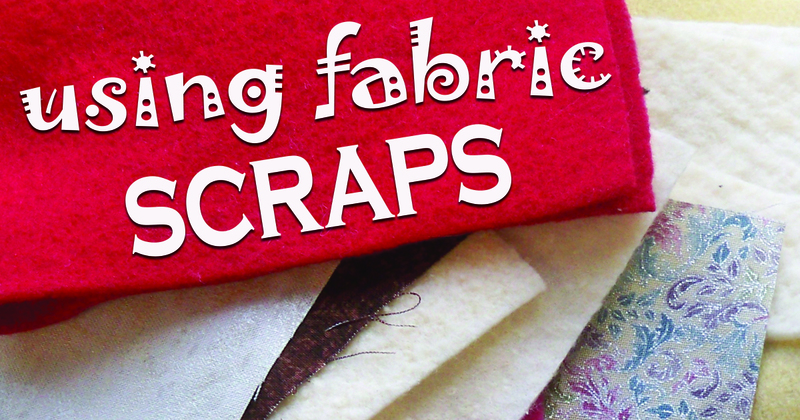 Do you hate to throw fabric scraps away? At nearly $12 per yard, most of us think twice about just pitching our cut offs. But then, what do you do with them? As if we don’t have enough to clean up and store, there is the issue of fabric scraps. Do you keep them? If so, how do you store them? Are they sorted by size, color, type? What can you make with them? I tend to keep anything I think I may be able to use in a future project. 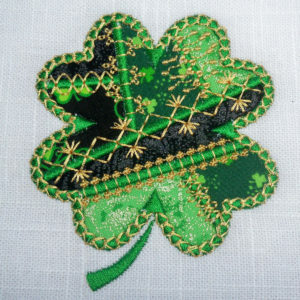 Much of what I embroider is applique so even small pieces of fabric and batting will work. For fabrics, I clip off points of pieces that will not be usable and keep the rest. I do the same with batting, fusible fleece, and felt. Typically, I do not keep scraps of organza. 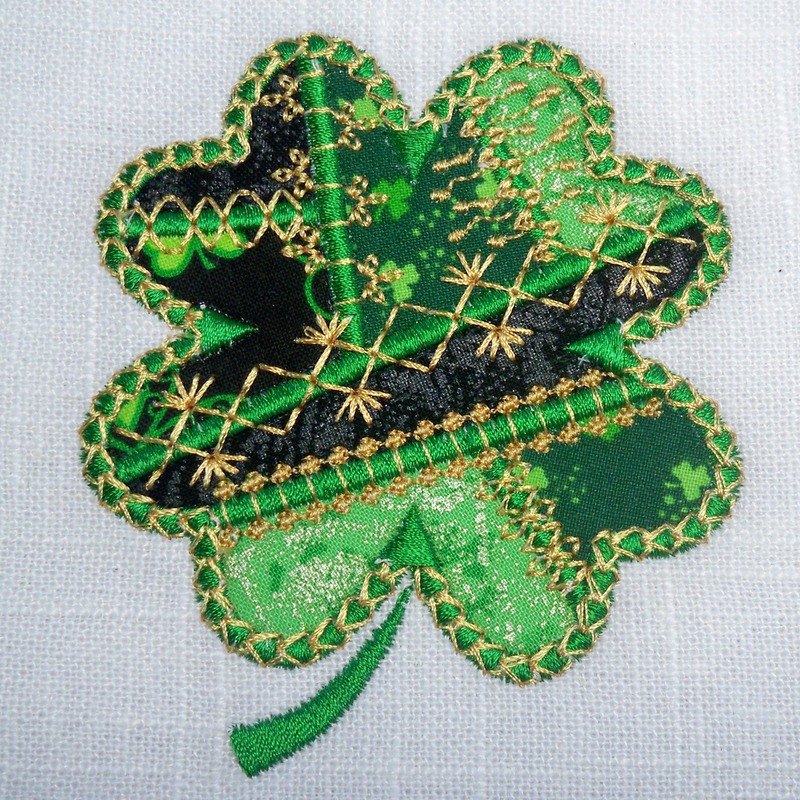 Even bits of lace can be used in heirloom and crazy quilting embroidery projects. Stabilizer scraps are kept as well. They can be used as a bandage for patching stabilizer holes and adding extra support to sections of stitching, when necessary. Even the smallest of pieces can be useful, especially water-soluble adhesive stabilizer (which can be quite costly). I keep my fabric scraps in small, labeled boxes. Most are sorted by the type of fabric. I keep felt, batting, stabilizer, fleece, GlitterFlex vinyl, and quilting cottons in separate boxes. How do you sort and store your scraps and how do you determine which scraps to save? I store very small scraps in a stronger bag with handles and use it near my serger and sewing machine for testing stitches/adjusting tension. Larger scraps I fold and put in decorative boxes with the fold facing up so I can see what colors and patterns I have. I use 3 bins. 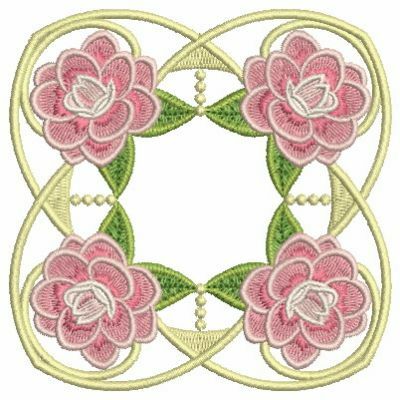 One for larger pieces of fabric, that can actually be made into quilt blocks, although usually with other fabrics. I put leftover strips in that one too. The second one is pieces I could use for applique, and the last is used for fluff scraps. I use this for filling 3d projects that need it, such as rag dolls or other padded things. Thanks for posting that, Mary! I store my larger scraps and strips of fabric in laundry baskets sorted by color. For the smaller scraps, such as the triangles you cut off when making a snowball block, I store these in a tub right next to my sewing machine. I recently discovered “crumb quilting” and love love love it! Now there is virtually no wasted fabric. Yay! Great tips, Lora! What is crumb quilting? Previous Previous post: Applique: Fuse or Not Fuse? Next Next post: Mystery Project: Easy as Pie!